(l-r) Mark Templin and Mike Groff. Even though Groff will leave his role on Aug. 31, he will remain as executive advisor with the company until Nov. 16. 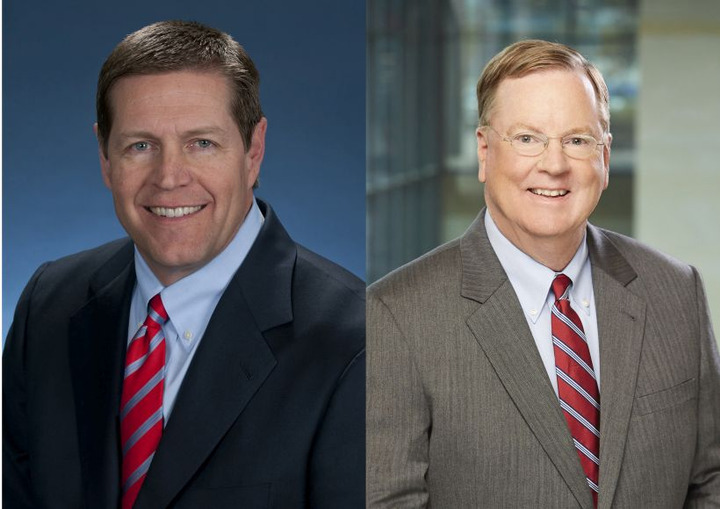 Groff will also leave roles as a member of the board of directors and chief executive officer of the Americas region of Toyota Financial Services International Corp. (TSFIC). In addition to his new duties, Templin will continue to serve as director, president, and chief operating officer of TSFIC. Templin, who joined Toyota in 1990 when he started at Toyota Motor Sales, has served in his current role since May of 2016. Previously, he served as group vice president and general manager of the Lexus Division, where he oversaw all aspects of Lexus U.S. automotive operations.He served as managing officer of Toyota Motor Corp. from April of 2013 to December. Groff joined Toyota Motor Credit Corp. (TMC) in 1983 as the company's seventh employee. In 1991, he transferred to Toyota Motor Insurance Services (TMIS) and held roles in product development and management. After three years, he transferred back to Toyota Motor Credit and held various leadership roles in sales, marketing, strategic planning, information technology, and customer service. In 2013, Groff played a key role in rebranding TMC and TMIS as Toyota Financial Services and became president and chief executive. TFS relocated to Plano, Texas, with Toyota Motor North America begining in 2017.